When we think of Native Americans, many of us think of inland dwellers. People adept at navigating forests and rivers and the skilled hunters and horsemen who lived and hunted on the American Plains. But did you know that Native Americans were seafaring mariners too? 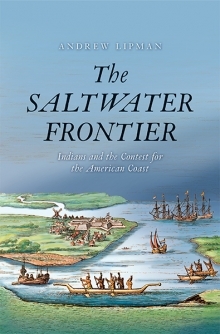 Andrew Lipman, an Assistant Professor of History at Barnard College, Columbia University and author of The Saltwater Frontier: Indians and the Contest for the American Coast, leads us on an exploration of the northeastern coastline and of the Native American and European peoples who lived there during the seventeenth century. 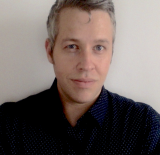 In this episode, Andrew Lipman, an Assistant Professor of History at Barnard College and the author of The Saltwater Frontier: Indians and the Contest for the American Coast, leads us on an exploration of the northeastern coastline and of the Native American and European peoples who lived there during the seventeenth century. During our exploration, Drew reveals details about the Native American and European peoples who lived along the New York-New England coastline during the seventeenth century; Northeastern Native American maritime life; And details about the development of the early American whaling industry. In your opinion, what might have happened if contact between Native Americans and Europeans had somehow taken place on land instead of on the sea? How would the lack of an ocean meeting have affected how Europeans and Native Americans met each other and conducted their relations after their meeting?